Panathenaic amphora. Athena Promachos is depicted on the front side and a wrestling scene on the back. 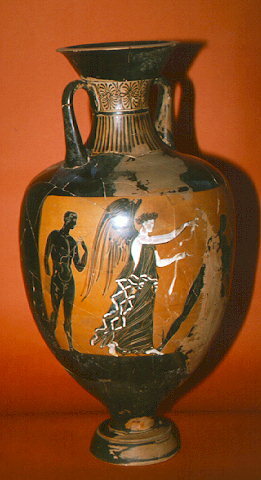 It is the work of the Pourtales painter, found at Eretria. It was made in the year of archon Charikleides, 363/2 B.C. Inv. no. 20048.